We mix our own paints, which makes the colours unique. For example, you can order a chair with the pattern and colours of your choice. You can also have your own text and name painted. 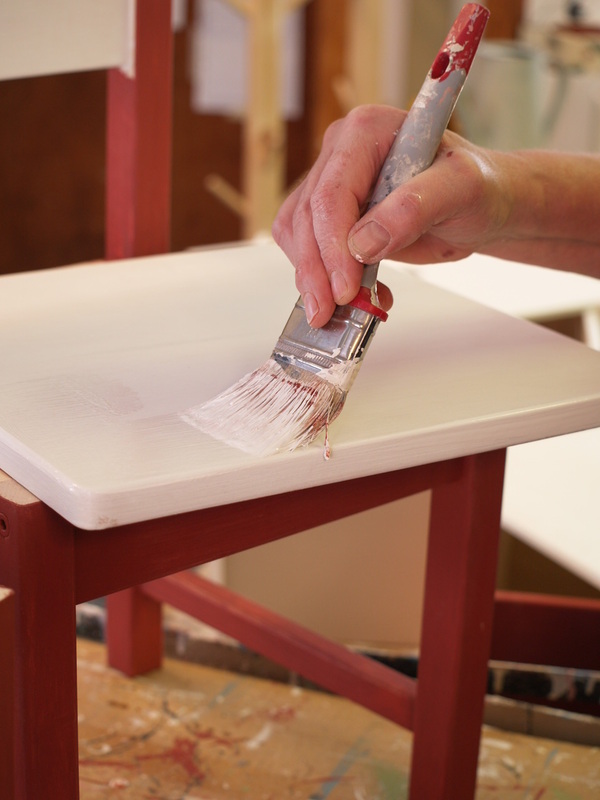 You can buy the furniture in our farm shop, and we can paint to order within one week. Contact us by phone and we will help you select, so you can save the extra trip. 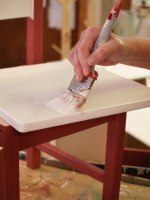 We paint in three layers with sanding in between, followed by three layers of varnish. This makes the chairs very durable. We know, because we have been using this method on children's furniture since 1996! We sell products from Rubens Barn and Teddykompaniet, as well as rocking horses, security blankets and more. 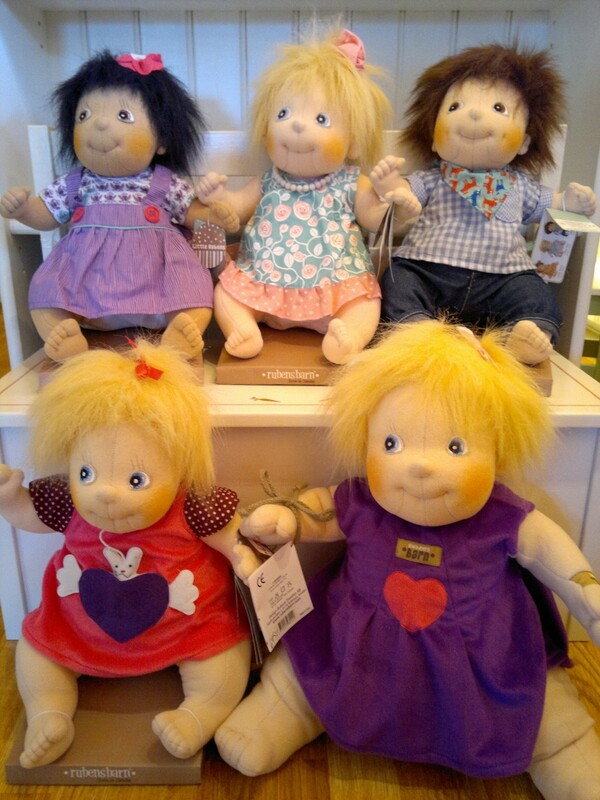 Our children's department is filled with ready-painted furniture for your child or grandchild! 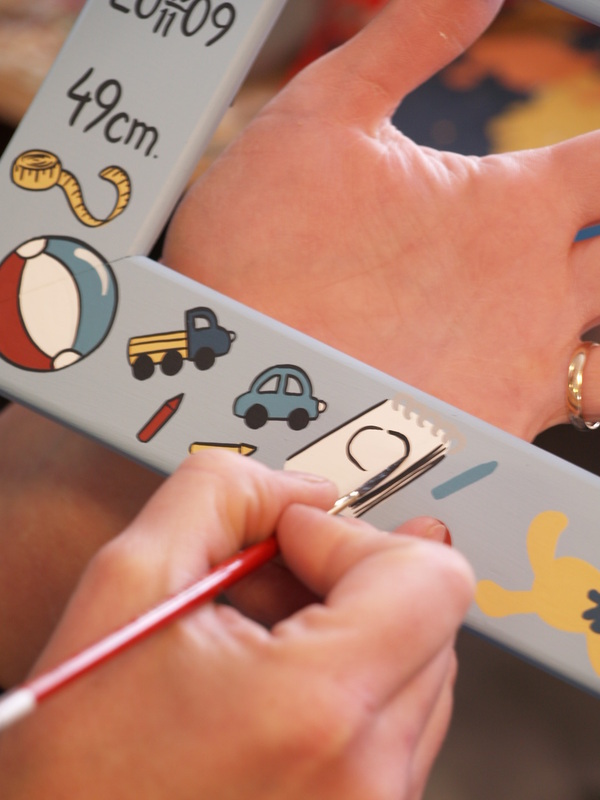 Here you see work in progress on our popular christening frames, which we can decorate with the baby's name, length, weight, date/time of birth and various symbols. Everything hand-painted. Pick your own colours. Check out www.barnmobler.nu for examples.